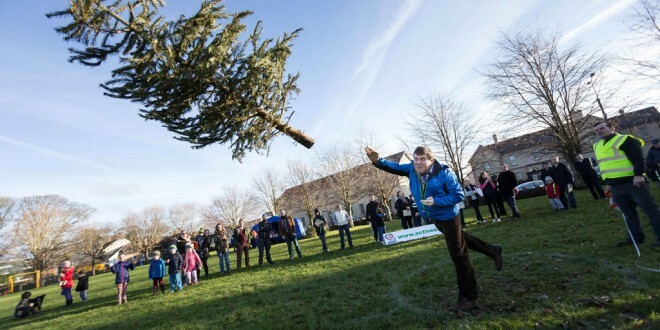 The Irish Christmas Tree Throwing Championship takes place on Sunday at Active Ennis Tim Smyth Park, Ennis, starting at 1pm. Members of the public are invited to attempt to break a unique Guinness World Record. The championship will see competitors throwing a standard 1.5-metre tree in a bid to reach more than 12 metres, the world record set by Klaus Pubnaz in Germany five years ago. 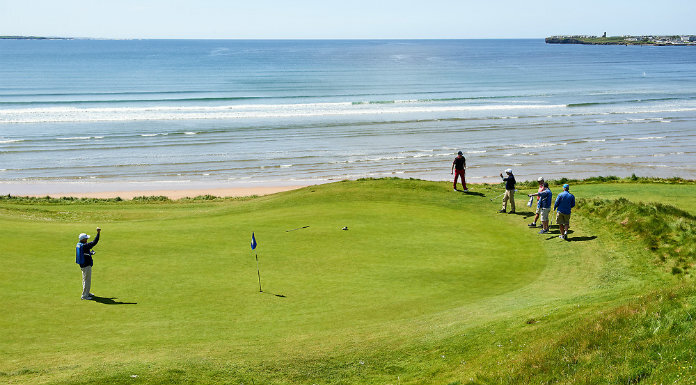 2014 winner, Gary O’Growney from Dublin and 2013/2015 winner John O’Dea from Limerick share the Irish Record. 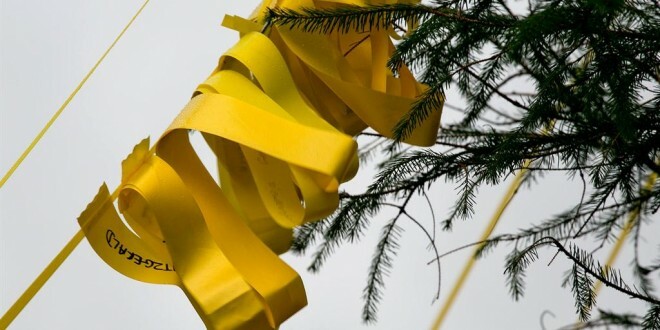 Both competitors threw their trees a distance of 10.2 metres, This year’s winner will once again receive the Irish Christmas Tree Throwing Championship trophy while proceeds raised by the 5th annual event will go towards the West Clare Mini-Marathon Cancer Centre. 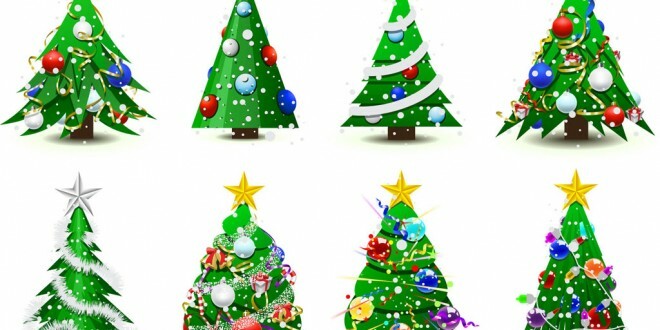 Organised by Clare County Council, in conjunction with Active Ennis Sports and Leisure Facilities, the event will also see the public’s used Christmas trees being sent forward for recycling. 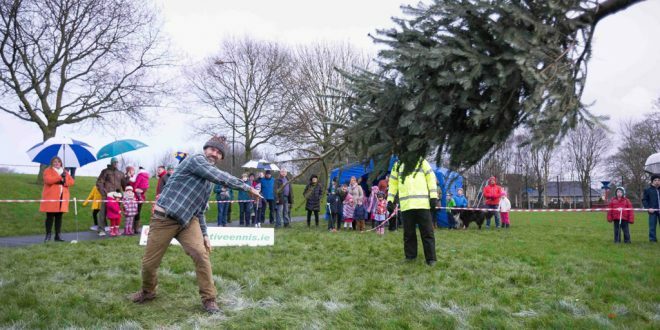 HUNDREDS of people descended on Tim Smyth Park (Ennis Fairgreen) on Sunday afternoon to participate in, or enjoy as spectators, the annual Christmas tree throwing competition. A break in the bad weather enabled the event to progress in a very enjoyable atmosphere, much to the relief of organisers, Ennis Town Council and Clare County Council. The contest, which is based on age-old lumberjack traditions and is commonplace across Germany and Austria, sees members of the public competing to achieve the longest distance for throwing a standard 1.5 metre tree. Last year’s winner, John O’Dea from Limerick launched a Christmas tree 10.2 metres, just less than 2 metres short of the World Record held by Klaus Pubnaz who hurled a tree a distance of 12m in Germany three years ago. 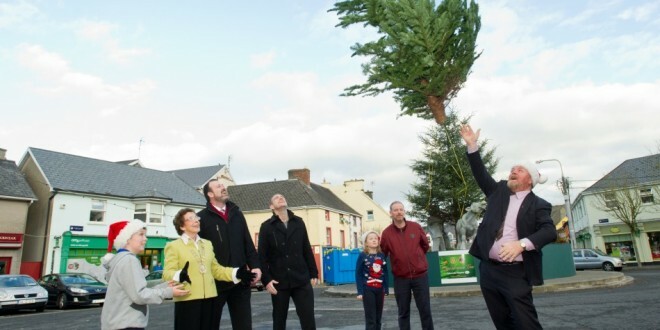 THE Mayors of Ennis and Clare this week joined the Clare Cystic Fibrosis Association in ‘lumbering up’ to launch the third annual Irish Christmas Tree Throwing Championship. The event, which is based on age-old lumberjack traditions and is commonplace across Germany and Austria, will see members of the public competing to achieve the longest distance for throwing a standard 1.5 metre tree. 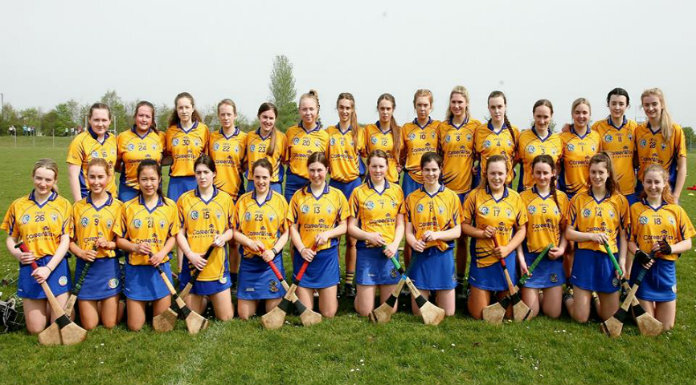 Organisers, Ennis Town Council and Clare County Council are hoping to make the January 5 event at Active Ennis Tim Smyth Park a record breaker. Last year’s winner, John O’Dea from Limerick launched a Christmas tree 10.2 metres, just less than 2 metres short of the World Record held by Klaus Pubnaz who hurled a tree a distance of 12m at an event in Germany three years ago.